The Interactive Media Division of the USC School of Cinematic Arts is getting a boost from ZeniMax Media through a partnership that will deliver internships and guest lectures by developers from studios like Bethesda and id. The general perception of the relationship between the film and videogame industries is a fairly simple one: no game is a full-on mainstream success until it gets optioned for a movie. Never mind that game-based movies are almost invariably bad or that major game releases now routinely bring in more money than summer blockbusters; the simple fact is that you're not a hit until you're Hollywood. But as videogames become increasingly cinematic in presentation and the fact that videogames are mainstream in their own right slowly sinks in, that perception may be starting to change. One sign of that change may be seen in the new partnership between ZeniMax Media and the School of Cinematic Arts at USC. 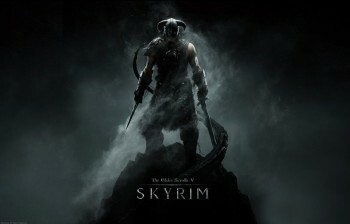 ZeniMax may not be an instantly recognizable name but Bethesda Softworks, id Software and Arkane Studios certainly are and as part of the deal, "noted developers" from those studios will deliver guest lectures and small seminars related to various game development disciplines. "As the video game industry experiences continuing worldwide growth, there is an increasing need to support the education of the brightest minds who are interested in a career in our industry," said ZeniMax Media CEO Robert Altman. "We are pleased to be a part of that effort." "The potential for this partnership is virtually limitless," added Elizabeth M. Daley, Dean of the USC School of Cinematic Arts. "I'm eager to see how our students will take advantage of this extraordinary opportunity and further hone their abilities to create engaging and entertaining experiences for gaming audiences around the world." Movies are movies and games are games and if ever the twain shall meet it will be in games, where the cinematic experience has room to grow, and not at the local Megaplex, where the only room for gaming is in the lobby. This obviously isn't a case of "showing them how it's done," but it is a reversal of sorts and it's hard not to see at least the suggestion that the game industry is ready to be taken seriously as a creatively equal medium.